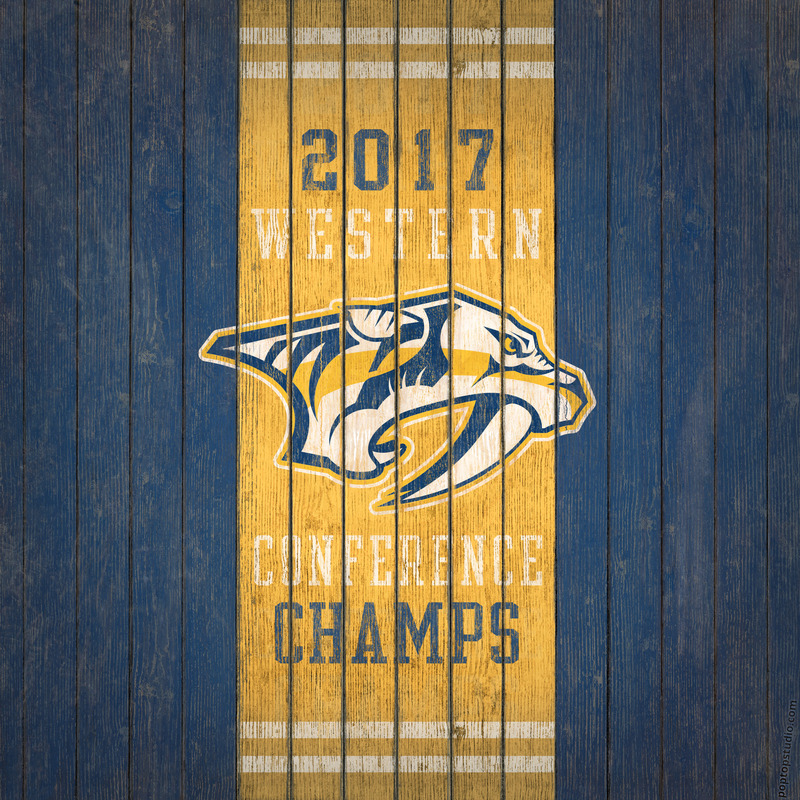 I grew up a Blackhawks fan (still am), but after moving to Nashville a dozen years ago, the Predators quickly earned my respect and support. I’ve got great memories of taking my boys to Preds games, including camping over night in the stadium with the Cub Scouts and one memorable night hanging out in the owners suite. I am thrilled to see the Predators head to the NHL Final to play for the Stanley Cup. 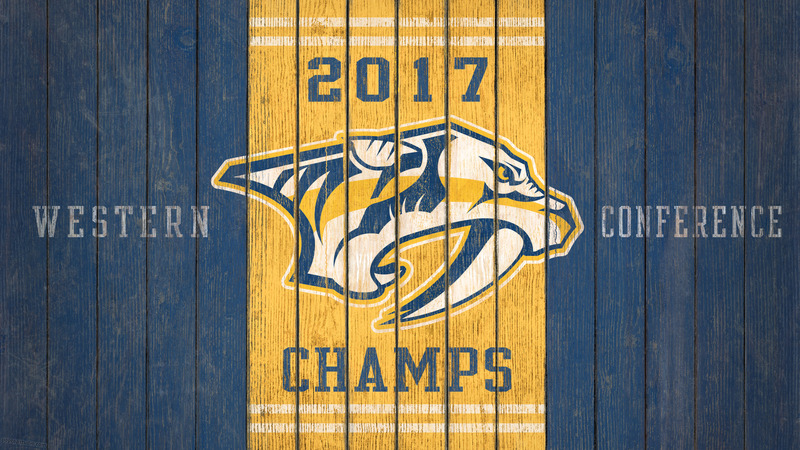 As I did with the Cubs to celebrate their historic 2016 season, I’ve created a set of wallpaper to celebrate the Nashville Predators first Western Conference Championship. At 2400 x 2400 pixels, Wallpaper #5 is tablet-friendly and big enough to look good on any device that you throw it on. The vertically orientation of the design fits best on tablets and smartphones. At 2560 x 1440 pixels, the 16:9 desktop version looks best and fits nicely even on high-resolution displays. PopTop Studio wallpapers are free for personal use. The Predators logo is a registered trademark of the NHL and The Nashville Predators. This is fan art – I am not officially associated with the NHL or Predators organization. Illustration by John Trauscht, PopTop Studio, LLC. This wallpaper is provided for free and you may freely share the link, but commercial use or redistribution is prohibited.